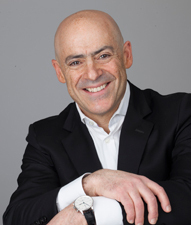 Mike Lipkin is one of North America’s preeminent motivational speakers. He is president of Environics/Lipkin, the motivation and sales empowerment practice of Environics Research Group – one of Canada’s leading research houses. The distinctions that he has gathered from talking to a million people in forty-three countries, combined with the insights from the celebrated Environics social values research, is how he offers his clients the best of all worlds: a powerful blend of ideas, principles, and observations that will help you achieve preeminence one conversation at a time. Mike’s mission is to help you and your team achieve preeminence – where you become the benchmark by which all others are judged. Mike is one of North America’s preeminent motivational speakers and consultants. In the last 12 months, he has delivered over 150 programs to 40 organizations in 19 countries from Russia, to Turkey to South Africa to the USA and Canada. Almost every working day, Mike is speaking to an organization somewhere on the planet. Exciting people into playing big is what excites me. Every program is my most important program. I deliver every one as though it could be my last because one day I will be right. I make every session a once-in-a-lifetime experience for my delegates. I immerse them in the insights and distinctions that accelerate their path to preeminence. They laugh. They share. They talk. They have fun. I believe that life is theatre with consequences and no-one ever bored anyone into doing anything. That’s why people leave my sessions with the purpose and passion to win. > Watch a video of Mike in action. > Read reviews from some of the world’s leading organizations on Mike Lipkin’s contribution to their motivation and success. > Find the perfect motivational program for your team.